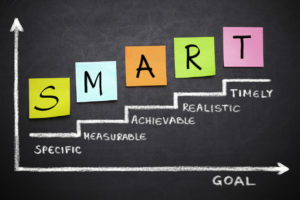 Francis Bacon said “If we are to achieve things never before accomplished we must employ methods never before attempted.” If you have yet to start focusing on your goals, use this as your warning! Start now. 1) Patience – Crawl. Walk. Run. The natural progression takes time, self-discipline, and tenacity. If you stress over the “easier” goals, your expectation of crushing the difficult goals with road blocks and challenges go out the window! Everyone I speak to about setting goals, we talk about journaling and documenting progress. Some goals take 3,6,12,16 months to accomplish. When you look back on Month 6, you should be able to see some sort of progress. Something has to show the work you have done until today. If you have goals of achieving weight-loss, pictures every week will help you document your goal and actually see results along the way. Seeing your documented results will keep you determined and motivated every step of the way. 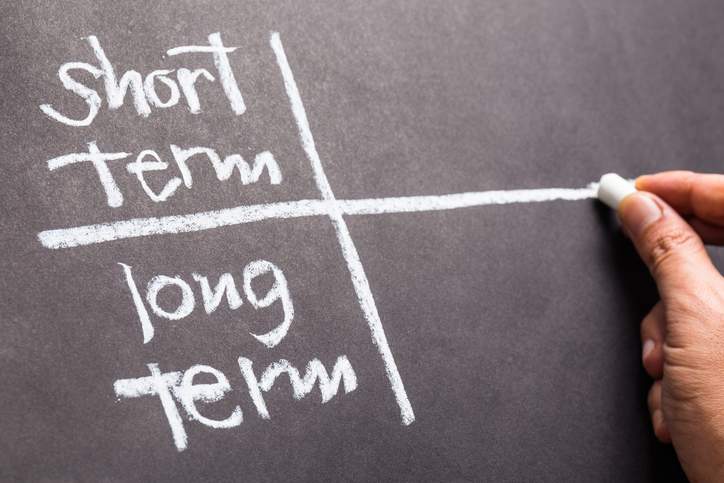 4) Short-term goals MUST support Long-term goals. Long Term Goal: This is something that is at least one year or longer out. One thing. 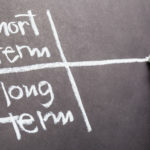 Short Term Goal: Now break down the long-term goal into short-term mini goals. What do you need to cross off this list to get closer to the One Thing above. These should be 5-6 items that can be achieved within the next 3/6/9 months. *Specific: Make sure your goal is as specific as possible. The clearer the defined goal, the easier the process will be. *Measurable: How do we measure this goal and document the progress? How will you be held accountable to achieve this goal? *Achievement: How do you achieve this goal? What steps do you need to take to make progress towards achievement? *Realistic: Is the goal realistic to your life? Do you have the drive to accomplish this goal? *Timely: What is the time frame to accomplish this goal? How will you be kept accountable? This exercise will help specify and define your overall goals into smaller, more achievable steps. Daily Goal Breakdown: Now list daily goals into your daily checklist. There will always be checklist items that have nothing to do with your goal. That is completely normal, whereas, you are still expected to live a normal life while you work towards specific goals. If you go too many days where the majority of your list is not geared towards the larger goal at hand, you need to pause and reflect. The more excuses you have the harder your goal becomes. The longer you procrastinate, the harder your goal becomes. Anything that deters you from accomplishing your daily task list will inevitability push your goal farther out. You can’t slow down or justify excuses to yourself. If you were afraid of failure, you would not be this far into this article. I wish I could tell you that you won’t fail and everything is going to work out perfectly. However, I can’t. I won’t. You will fail. More than once. Then again after that. If failure was detrimental there would be no companies trying to change the world. Failure is the first step to success. Fail, learn from it, change (or better yet, improve!) and re-do. It becomes a cycle. So many people give up or crawl into depression after failure that they never learn the lesson. The lesson is the most valuable part of your failure. Without the lesson, there is no progress… there is no change. 7) Don’t give up. Ever.